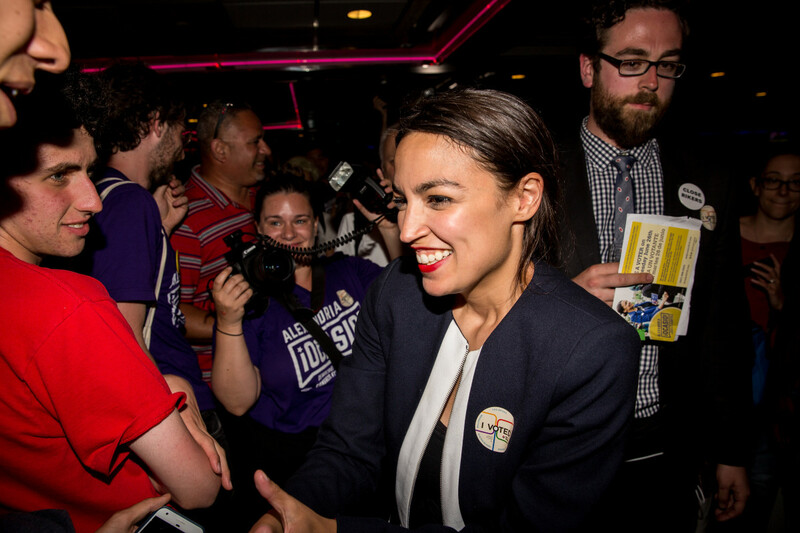 On Tuesday, 28-year-old Alexandria Ocasio-Cortez was launched into the national spotlight after defeating incumbent Democratic house member Joe Crowley in a primary in the 14th district of New York. For our 10th anniversary print issue back in March, Megan Kimble interviewed the candidate about her then-fledgling grassroots campaign for office, along with two other first-time female candidates. In light of Cortez&apos;s victory, we published Kimble&apos;s interview with the expected new member of Congress in full. Read the interview in full here. It was a big week for the Supreme Court, as the justices handed down decisions on gerrymandering, public union membership dues, American Express&apos; business practices, and upholding President Donald Trump&apos;s travel ban. On top of that, Justice Anthony Kennedy announced his retirement from the bench, a decision that sent shock waves around the country. Kennedy&apos;s announcement has raised concerns about the future of Roe v. Wade among reproductive rights advocates as a reversal of that decision would put abortion rights back in the hands of individual states. With that in mind, staff writer Francie Diep created an interactive map that covers each state&apos;s particular laws. Check out the map here. Hannah Weinberger looks at a viral wedding photo taken in front of a Colorado wildfire, and how this reflects the changing reality in a world affected by climate change. Read Weinberger&apos;s story here. Staff writer Kate Wheeling spoke with Ben Goldfarb about his new book, Eager: The Surprising, Secret Life of Beavers and Why They Matter, and why many naturalists, land managers, and average Americans have overlooked beavers&apos; role in shaping our environment for so long. Goldfarb has also written for Pacific Standard, including his recent feature "The Endling: Watching a Species Vanish in Real Time." Read the interview in full here. It&apos;s been 17 years since the United States launched the War on Terror. In that time, the state of international terrorism has only grown worse. Now once again battling the Taliban in Afghanistan, U.S. leadership know that they failed to solve the problem that plunged the country into the War on Terror in the first place. But despite these realities, as contributing writer Jared Keller writes, the Trump administration appears to be pivoting into a competition of power mongering against Russian and Chinese influence in the region. This is a move that could have dire consequences for the people who live there, and for America&apos;s military. Read Keller&apos;s piece here. White House Press Secretary Sarah Huckabee Sanders conducts a White House daily news briefing on June 14th, 2018. What&apos;s acceptable in political discourse under the presidency of Donald Trump seems to change by the minute. Boundaries have been pushed and formerly tightly held mores of decorum can be tossed aside at a moment&apos;s notice. This doesn&apos;t just apply to Trump and his allies, but also to members of the political left—e.g. the Bernie Bros. These changes in discussion aren&apos;t always good and they aren&apos;t always bad—no matter what the establishment might say—but one thing is clear: When we talk about what&apos;s acceptable and what&apos;s not in public political discourse we should ensure that we don&apos;t conflate the issues. This is important to consider in light of a few recent and highly publicized incidents involving members of the Trump administration and their dining habits. Early last week, White House adviser Stephen Miller and Secretary of Homeland Security Kirstjen Nielsen were shouted down by protesters in separate incidents at two Mexican restaurants—Miller&apos;s in Washington, D.C., and Nielsen&apos;s in New York City. 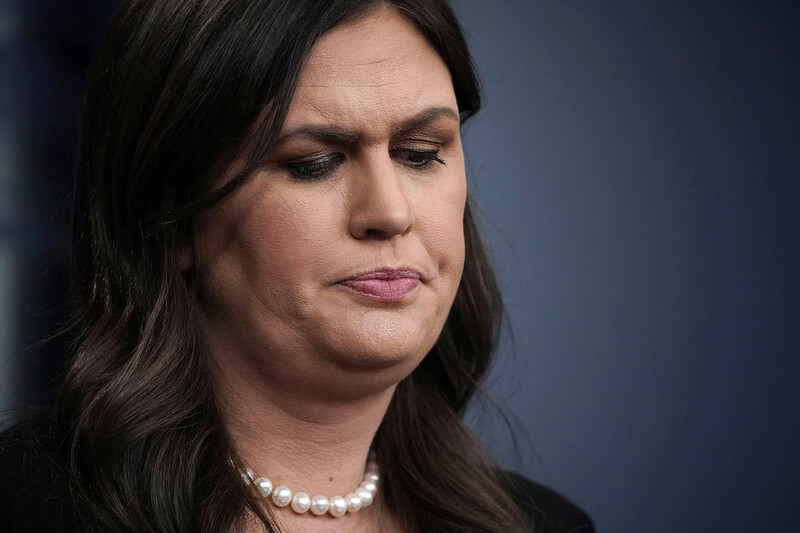 A few days later, White House Spokesperson Sarah Huckabee Sanders was denied service at a Lexington, Virginia, restaurant because, after a vote, the staff decided they did not want to serve her based on the fact that she works in the Trump administration. The expected political handwringing about what these events meant for a polarized America came from both the right and the left, with Maxine Waters&apos; vociferous support of disruptive protests gaining particular notoriety.Pacific Standard senior staff writer Tom Jacobs interviewed an expert who cast doubt on the effectiveness of these public shaming ploys as a means of advocating for policy change. However, these incidents don&apos;t really have much in common, other than the fact that they all occurred in places where people were eating food. Sanders being refused service at a restaurant based on her political beliefs and professional actions is a very different issue than protesters exercising their First Amendment rights through vocal protest of Miller and Nielsen. Without advocating for either position, it&apos;s important to see how they should be discussed as entirely separate queries, and not—as they have been—as parts of one larger problem of political actors being allowed to "eat in peace" or allowing all people to express their political beliefs, even if that opens potentially troubling realities where people are refused service for any number of arbitrary reasons. Whichever side of the issue you land on, it&apos;s essential that when we have these discussions we do so on equal ground, otherwise we are—once again—talking past each other, which is, perhaps, the greatest ongoing danger to productive political discourse. 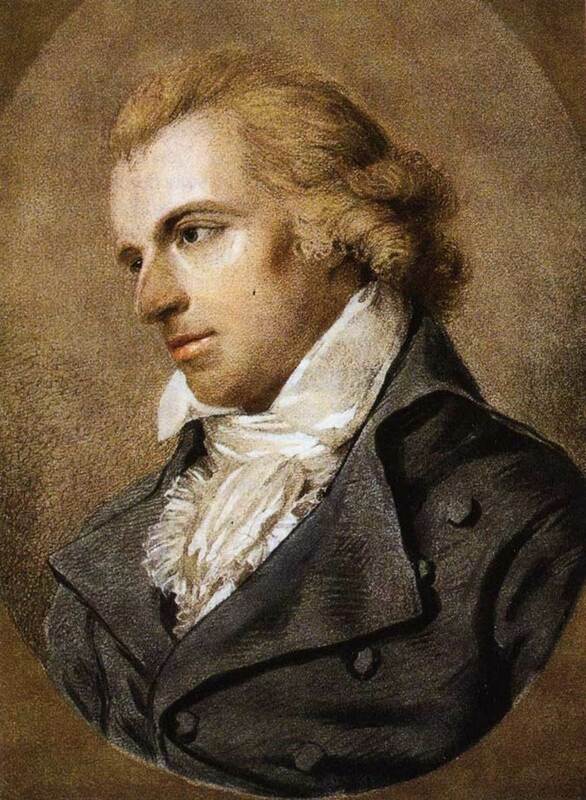 Love and Intrigue: In 1782 the German playwright Friedrich Schiller was arrested on the order of the Charles Eugene, Duke of Württemberg, after the free-thinking Schiller deserted the army regiment to which he was posted as a doctor in order to attend the premiere of his play The Robbers. The duke banned Schiller from staging future productions, and Schiller fled from Stuttgart to Mannheim to write Love and Intrigue (occasionally styled as Intrigue and Love), the tragic story of a young couple whose happiness is thwarted by the political machinations of their parents. A staging of Schiller&apos;s Sturm und Drang play (and it contains plenty of each) runs from June 6 through June 16 at the Brooklyn Academy of Music, presented and performed by the Maly Drama Theatre of St. Petersburg, Russia, led by director Lev Dodin. An obscure two-and-a-half-hour 18-century drama (performed entirely in Russian, no less!) might seem like a hard sell, but Schiller himself saw the stage as a sort of grand courtroom, where questions of morality could be posed and answered in front of captive audiences. Love and Intrigue, in which the values of the middle class are pitted against those of noble birth, suggests to modern viewers that love is political—and that all politics, in the end, must reckon with love. "Deleting a Species" by Rowan Jacobsen was included in The Sunday Long Reads email round-up. Jimmy Tobias&apos; story about Department of the Interior official Katharine MacGregor&apos;s meetings with special interest lobbyists before repealing an Appalachia public-health study was referenced in a Lexington Herald-Leader op-ed. Fortune&apos;s Glenn Fleischmann cited Pacific Standard contributor David M. Perry&apos;s piece, "Banning Straws Won&apos;t Save the Oceans," and spoke to him for an article about Seattle&apos;s ban on plastic straws. RawStory did a write-up about senior staff writer Tom Jacobs&apos; interview with a cult expert who draws some troubling parallels between President Donald Trump&apos;s GOP and cults. If you have any thoughts about this newsletter or our work—what you like/didn&apos;t like/want to see more of—you can reach us at premium@psmag.com. If you&apos;re not already, become a premium member by following the button below. 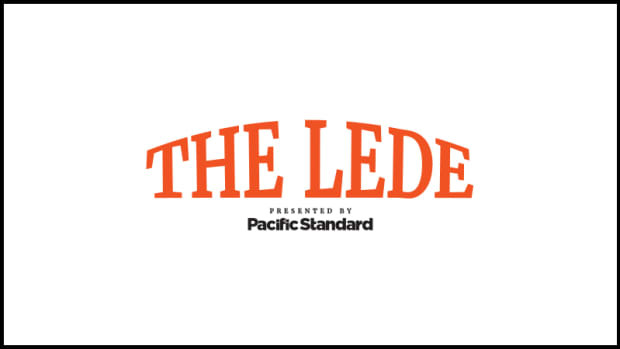 As we continue to build out the benefits of a premium membership to Pacific Standard, we want to hear what would be most valuable to you.